It feels so weird having a mostly empty calendar for this year. I know it’s early days, but for the last couple years (especially during the uni days) I had a pretty clear idea of my year’s structure from the beginning. Not having the same certainty this year is both terrifying and exciting. It scares me because an empty calendar represents the unknown, but it also means anything (and everything!) is possible. How’s that for some Monday motivation #AmIRight? I’m not at a point just yet where I can make extensive travel plans for the coming months (except weekend things, of course). But, that would never stop me from dreaming…or from making lists. Even if said lists are filled with plans that are still many years in the making. I firmly believe in putting things into words to kick-start making them happen…like a vision board. But, in list form ya know. I mentioned in a previous post that I’m not one for New Year Resolutions, but rather add a bunch of things to my “Wanderlist” each year. In keeping with the new year spirit of goal-making, I thought I’d share with you some of the places and experiences that’ve got me feeling wanderlusty. These things are generally inspired by what I’ve seen on Instagram or read on travel publications (I’m still a sucker for a printed travel mag, like my local favourite Getaway), or by my own travel experiences. For example, my recent Seychelles trip reminded me how much I love spending extended amount of time immersed in the sea and all its unusual magic, so has encouraged me to do a PADI diving course. Since this is the kinda list I don’t mind adding items to, it’s constantly growing. I mean, the list as you see it here isn’t NEAR complete. But, for the purposes of a blog post that won’t take you four days to read, these are just the things that’ve REALLY inspired me lately (mostly involving outdoor adventure, the ocean and road trips, of course). …and then embark on a diving trip to Mozambique. Swim with the turtles in the Baraka Natural Aquarium, Zanzibar (I can’t believe I didn’t know about this until yesterday, but I guess that’s the beauty of social media. Sure, seeing all the exciting things people are getting up to all the time on their Insta-stories can induce the worst kind of FOMO. But, at the same time, my eyes have been opened to so many new possible experiences that I might not otherwise have known about. In this particular Insta-story, I watched as the person dipped into a natural pool frequented by sea turtles and be suddenly surrounded by at least 10 of those gentle beauties. They came right up close, brushed her with their cute little flippers, and I swear I almost cried). Complete a leg of the El Camino (I remember my mom telling me about this after reading a feature in a South African travel publication. I think we were both so inspired by the challenge of completing it, and I’m so excited that my mom will actually be fulfilling her dream later this year. I’ve already told her she’s “on assignment” for the blog, and might even equip her with a camera of mine so she can document it all. And so that I can feel like I was right there, too). Stay a couple nights at the new tented camp in Spitzkoppe, Namibia (I just read about this in the Getaway magazine and, while I’d return to Namibia tomorrow, this new accommodation has really peaked my interest. Spitzkoppe is one of my favourite places in Namibia – you can read about my Namibian travels from a few years ago here – and I kinda love the idea of a glamping alternative in that rustic, mars-like terrain). Explore “the lungs of the world”, the Amazon (like the production team behind Blue Planet 2, getting caught in torrential downpours and almost capsizing, and then spotting the elusive Araguaia river dolphins swimming between the trees). Make a multi-day road trip of driving to our holiday house in Plettenberg Bay (nope I can’t believe I haven’t done this already either). 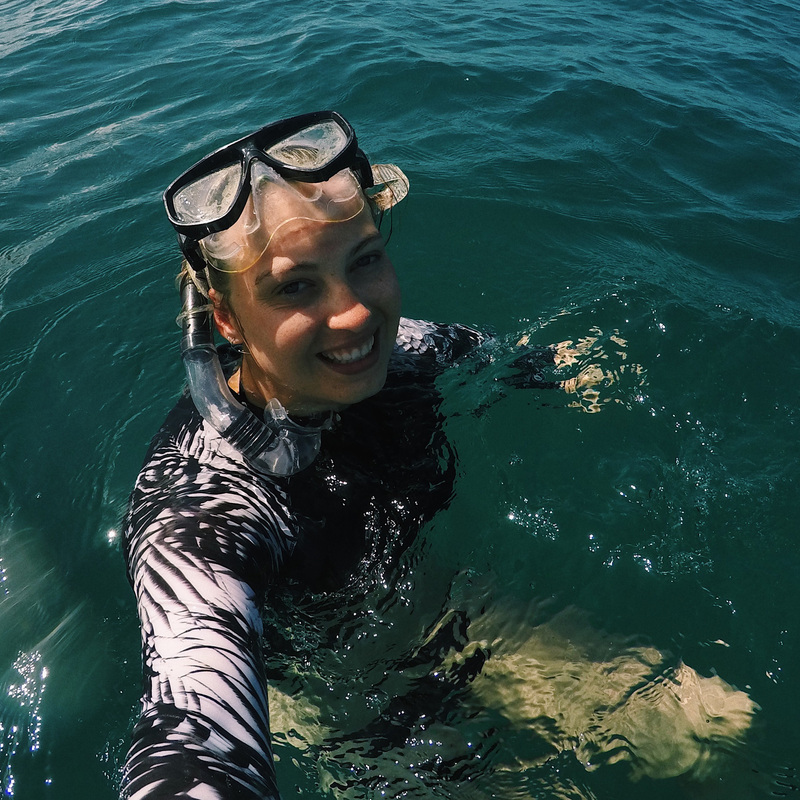 Swim with a whale shark (Tanzania? Mozam? Seychelles round 2? I’m coming for ya). Share breakfast with the tallest creatures on earth at Giraffe Manor in Kenya. Visit my family in New York City. Visit my family in Australia (and pop on over to Tasmania while I’m at it). Hike the Otter Trail (or something similar in South Africa, like the Whale Trail). Freeze my fingers off in Iceland (I mean, not really. But, I really want to go there and I have bad circulation so I’m prepared to be almost-freezing at all times. Also I want to go snorkel – or dive – in the Silfra Fissure, which is a freshwater ecosystem lodged between two continental plates and I hear the water is just a tad chilly). Plan a road trip through North America, in the vicinity of the Grand Canyon. Spend more time in the Kruger National Park, and take a badass portrait photo of a wild lion while I’m at it (it’s become a bit of a family joke that we’ve been on many a safari holiday, but we’ve never seen a lion close up in its natural habitat). Witness the wildebeest migration in the Serengeti. Road trip from Cape Town to Coffee Bay. What adventures are you planning on ticking off of your Wanderlist this year?